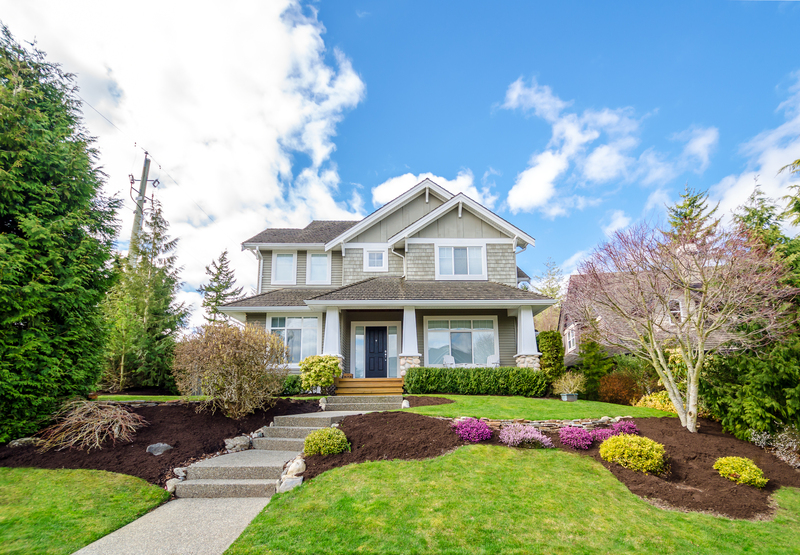 Landscaping can be expensive, and in today’s economy, saving money is of the utmost importance! While ideas in your head may seem to be an unreachable cost for having your yard look nice, there are a few ways to cut budget corners but turn your dream garden into a reality. Here at Bloom’s Landcare, we offer the following tips that can help trim those hedges without trimming your bank account! The key to saving money on landscaping is timing the best time to actually buy. Keep track of the seasons, stock and delivery schedules of your nursery; your patience can pay off by getting the better deals on what you want! If you are planning projects that require wooden structures, lumber is typically less expensive if you buy during winter months. Before you start buying your supplies and decor for your landscaping, you should come up with a detailed plan. Sketch out your ideas and take the dimensions of your yard into consideration- what is in your head may not always fit reality. Knowing your exact needs can prevent excessive buying and will help with saving money. Depending on your budget, it may be worth having a professional come out to consult ideas or even have a design for any structures you may be considering. If you are buying substrate (mulch, soil, sand, gravel, rocks, etc.) the total weights can be very misleading. Depending on what substrate you are buying, it may be measured in volume such as cubic yards or weight. One cubic yard of soil can weigh more than one ton! It is important to precisely calculate just how much you need and always better to go a bit over than under. When you are ready to buy, more often than not, people go to their local home improvement warehouse since they have everything you need. While providing great buys on substrates, common plants, and building materials, they may lack in care of the plants you are looking for. Check specialty shops, local nurseries, or even online nurseries. Many times you can find specials on what you are looking for and the variety of flora greatly exceeds what you will find at the larger warehouses. Pool and pond shops may offer better care and expertise with waterscapes. Plan out your landscape project in different steps instead of buying all at once. This way you won’t go over budget and you still get what you want. For any other questions you may have regarding professional landscaping, call Bloom’s Landcare at (817) 688-5352.